What kind of animal would forget Valentine's Day? Don't miss out on spoiling your special some-bunny on this Lover's Holiday! 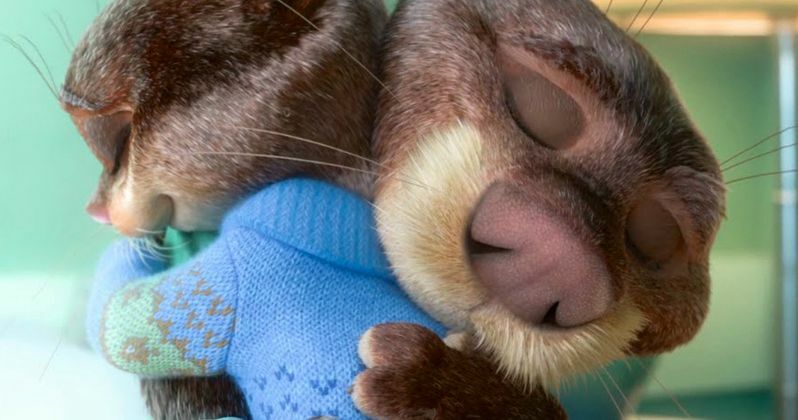 Disney's new animated comedy Zootopia has released a special Valentine's Day TV spot, which shows the various animals in this quaint burg enjoying the long weekend. In Zootopia, nothing says 'I Love You' like a dozen carrots, onions and a Fox taser. Just show you care, and take your time. Starting January 21, guests visiting Disney Parks will be able to catch a preview of scenes from Disney's hysterical comedy-adventure Zootopia in sneak peeks planned for Disney California Adventure park and Disney's Hollywood Studios. At Disney California Adventure park, the Zootopia preview will be presented at the Bug's Life Theater with special in-theater effects. Guests at Disney's Hollywood Studios will get to see this advance look at clips from the film as part of the One Man's Dream attraction on Mickey Avenue. Check out the special Valentine's Day spot right here.